Cobweb is a new product to us here at Kimz but has been available for quite some time now. You may also know Cobweb as Mistyfuse. Cobweb is a double sided fusible webbing with no paper liner. 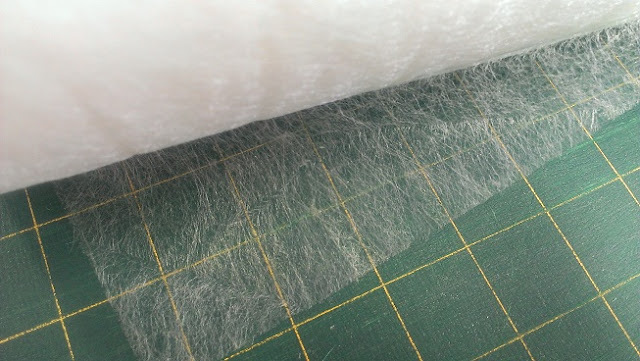 The Cobweb is lightweight without extra adhesive so it does not add bulk to your chosen fabric and won't gum up your needle. It's perfect for all weights of fabric from velvets and cottons to tullles and organzas. The sheerness of Cobweb will allow your fabric to maintain its natural drape ability. Cobweb bonds firmly once cooled and is best applied with a low dry iron. Don't forget to protect your ironing board with an applique mat as this is a double sided fusible product.